In today’s Webinar Wednesday episode, Sid Haas discusses ways LKCS can prepare your statements in just about any format or layout imaginable. LKCS can prepare your statements in just about any format or layout imaginable. 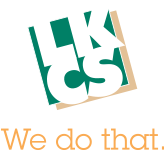 When LKCS begins programming, you will be asked to let us know of any specific formatting options, styles or statement elements that you would like to incorporate. Transpromo is a compound expression formed from the words “transaction” and “promotional”. By adding relevant messages, you can piggyback targeted promotions and advertising onto existing transaction-related documents, such as statements. Transpromotional documents combine and data mining and business intelligence technology with variable data printing. LKCS print ads directly on your statements for pennies. Ads sent to all members OR we can target specific groups of members to receive one or more of these messages. You are no longer limited to short, text-only messages. Include graphics, logos, fonts, photos, etc. Even personalize the ads. Same technology enables loan payment coupons, rate grids, regulatory notices, etc. to be delivered on your statements. Design the ads yourself, select concepts from our online catalog, or have LKCS custom-design ads just for you. Include personalized direct mail letters as the first page of your account statements. NO EXTRA POSTAGE! – According to the DMA, personalized letters remain as the most effective direct mail method. – Use for pre-approvals, referral campaigns, skip-a-pay, investment relationships, welcome new members, etc. Matrix Statement Campaigns: Series of statement onserts sent out over a period of months/quarters to cross-sell additional products and services to specific groups of account holders. Same concept as Matrix Mailings. Terrific solution for new account holders, mergers, new branch locations, new SEGs, expanded field of membership, etc. Ability to run multiple matrices at same time. Target which members receive certain inserts. Try to open an envelope without seeing the back side. The back of the envelope is a billboard. Use this space. INEXPENSIVE – LKCS charges just over 1 cent per envelope – Choose from our stock designs each quarter, have LKCS custom-design an ad for you, or supply your own unique ad. E-Statements Pull Ahead. Clearly the future for a majority of account statements. Including statement marketing is just as important All transpromo techniques can be incorporated into LKCS’ e-statements. Each banner ad is flagged until the user clicks on it. And the winner is… YOU! Our promise: LKCS will not be another vendor you love to hate. 98% customer satisfaction in last survey. Call or e-mail and you will get a response; best communication in the industry. Fast answers and issue resolution. We make our clients look good!